This outfit is a real chill casual one. It's something I'd wear on an everyday basis really. It's cosy and comfortable and nothing is over the top. 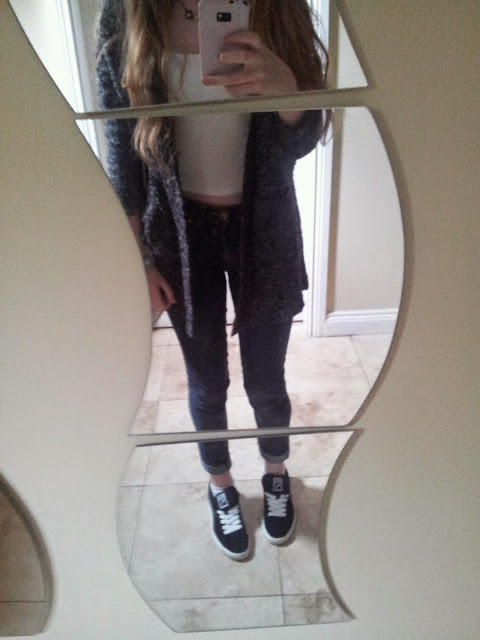 My top and cardigan are both from Primark (Pennys). I've no idea where my jeans are from because they're not really new, what a top blogger I am. 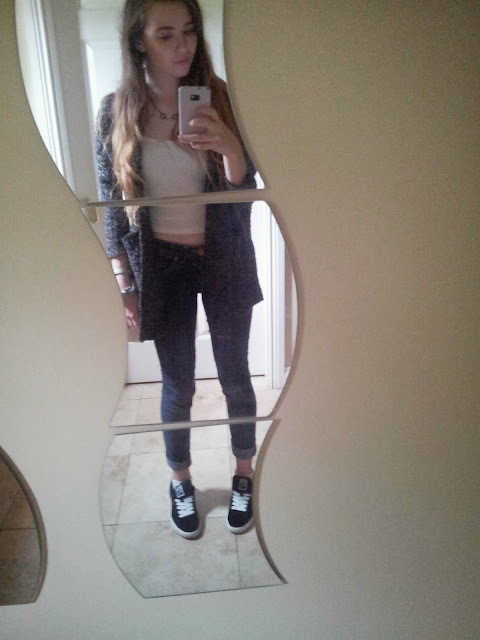 My necklace is from New Look and my shoes are Puma Suedes I bought in JD Sports. I used salt spray in my hair to create a casual beachy wave. It gives your hair more volume and texture and it's so simple too. It's one of my favourite styles to do as it's so easy and only takes a minute or two.